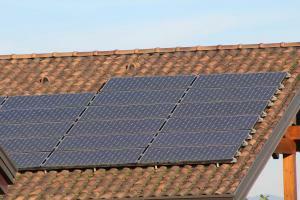 Installing solar panels on your homes roof is becoming more common place every day. Because we live in Florida we’re also blessed with an abundance of sunny days making solar a very attractive proposition. In some cases, the reason for “going solar” may be to reduce your carbon footprint and generate electricity for your home. Some homeowners even sell excess energy back to the “grid”. For other home owners their reason for installing solar panels may be to simply heat their pools. Regardless of what the reason, we have listed some “Do’s and Don’ts” as it relates to the health and care of your home’s roof. Here is a checklist of things you should consider before having solar panels added to your roof. So, let’s say you live in an area that gets a great deal of sunshine throughout the year. What direction does your roof face? In the northern hemisphere, a roof does not have to be south facing, but that is the most preferential alignment. Roofs with a southeast or southwest orientation may also prove to be effective if they are not located in shade most of the day. When we say south facing we do not mean “magnetic” south. The ideal orientation is “true” south. Does the roof receive sufficient sun throughout the day or is it in shade? If your roof is in partial shade for much of the day this will affect the output of your solar panels. In some cases, shade may be created by your chimney, a neighbor’s home or trees. Before considering removing trees consult with a solar expert. They should be able to access the potential improvement in solar collection if they are removed. Perhaps the most obvious consideration when considering the installation of solar panels is the age of your roof. Solar Panel systems have a long lifetime, anywhere from 25 to 35 years. Installing solar panels on a roof that is nearing its life expectancy and will soon need to be replaced simply makes no sense financially. If you aren’t sure of the age of your roof or it’s condition contact a reputable roofing contractor or inspector and have them assess your home’s roof. Explain to them you are considering installing solar panels. 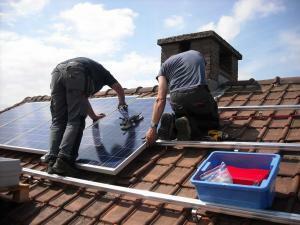 Among other things they will want to check the integrity of your roof to insure it can stand the load of solar panels. What type of roof does your home have? There are many distinctive styles of roofs and many different roof types, from traditional shingles, tile, metal, and even flat roofs. Solar panels can be installed on virtually any type or style of roof, but installation methods will vary based on roof type. Based on the style of roof on your home it’s important to make sure that your solar provider is sufficiently experienced with its roof type. Lastly, just as when choosing a roofing contractor, it’s important when choosing a solar installer to check their background and credentials. Improperly installing solar panels on your roof can create problems that may lead to leaking, and costly water damage.